Not all riders desire race-inspired protection on their motorcycles. Alpinestars' new urban adventure lineup provides basic protection with a unique style. The Yari Drystar, Asama Air, and Haku Soft Shell gloves all include a touch-screen-compatible index finger so you can snap a selfie on your smart phone without taking off your gloves. Hard polymer knuckle protectors are hidden underneath the shell of the glove, providing impact protection without looking like track gloves. 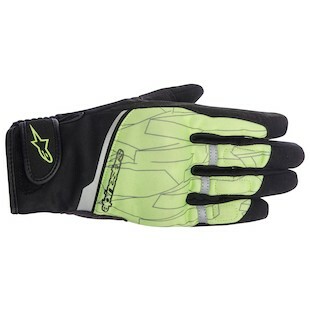 The Alpinestars Yari Drystar Gloves is the top of new Urban Adventure lineup. 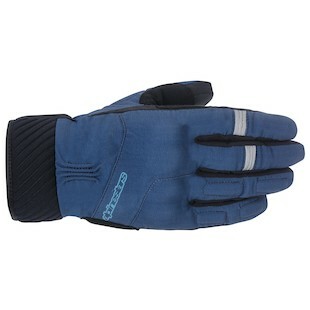 This two-season, cool-weather-oriented glove combines goatskin leather, Spandex, and Clarino to create a stretchable glove that still provides decent protection. The Drystar membrane keeps out water while still allowing your hands to breathe. Thermal insulation helps to hold in the heat on those chilly fall days. The Yari Drystar will be available in blue, orange and gray/white. Grab the Yari glove if you are looking for something to fill the space between your spring/summer glove and your full-fledged, thermal, insulated winter gloves. 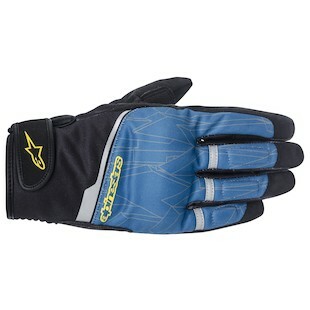 The Alpinestars Asama Air Gloves provides basic protection from the Clarino palm, polymer knuckle protectors, and EVA foam on the palm. Though these are just basic levels of protection, they provide extreme levels of airflow, thanks to the use of 3D mesh and Spandex. If you have ever thought about taking a ride without gloves, grab a pair of the Asama gloves instead, because they will hold up better to the pavement than your skin will. Plus, the black/red, black/blue, and yellow/black colorways will look pretty dope with the rest of your gear. 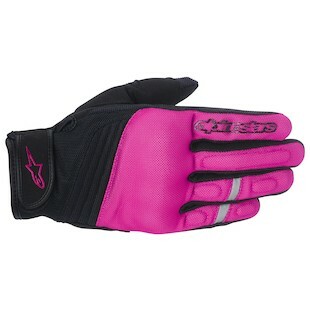 There is also a women’s version in the Alpinestars Stella Asama Air Gloves, which have been specially designed for the ergonomics of the more feminine half. Built to the same specs as the men’s version, the Stella line of gear offers female riders a more tailored option that can be utilized for a better overall fitment. I realize that the Haku is not haiku, but I have already put effort into the Japanese poem, so let's just roll with it. 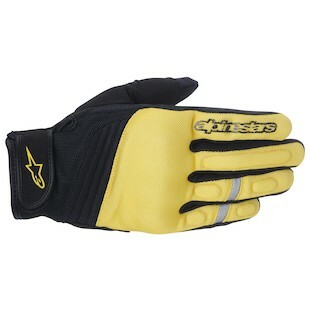 The Alpinestars Haku Gloves provide a windproof shell and light insulation for cooler temperatures. The fleece liner provides comfort and insulation on those chilly mornings, while still allowing plenty of tactile feedback from the controls. The softshell comes in Phantom red, blue and (digital) camo colorways. It is only water repellent, so don't count on staying dry in any type of extended precipitation. As with the Asama gloves, there is also a women's specific version that can be seen in the Alpinestars Stella Haku Gloves. These will utilize the features of the previously mentioned Haku, yet cater to the female hand by being slimmer in design. Whether you want lots of air flow, light insulation, or full waterproofing, Alpinestars’ new urban adventure line will have something to meet your needs.